Enjoy our Master Bedroom with king-sized bed, TV, and private balcony. Welcome to our Atenas Vacation Rental Villa Doughty! 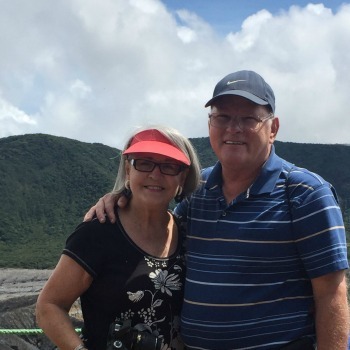 We are Steve and Dianne Doughty and we fell into the vacation rental business coincidentally when we were looking for a second home to retire in. We traveled to many countries during our search, but none were quite like Costa Rica. When we visited Atenas in 2011, we instantly “fell in love” – especially with the weather and the locals. The people are incredibly gracious and welcoming. And there are so many things to see and do in Costa Rica: there is white water rafting excursions, zip-line tours over jungles, beautiful beaches, many cascading waterfalls, five Volcano National Parks, and several other Costa Rica National Parks, and so much more! While we enjoy our “retirement” home throughout the year, we also love to share it with other families and guests. Also having a home in North Carolina, we frequently enjoy visiting family and friends in the USA. However we do try to spend several months in Atenas each year! Our Promise: To provide a positively private paradise for you and your family and or friends. We hope you enjoy your visit to Atenas and love your stay at Villa Doughty as much as we do! We all need a little escape from everyday life, which is why our promise is to provide a perfect private paradise for our guests at Villa Doughty. The moment you arrive and open the door to this stunning and unusually spacious Villa, you know you are going to enjoy your dream vacation...your home away from home! Villa Doughty has an open and split floor plan with 4 spacious bedrooms, 3 baths, and more than 4400 square feet of luxury amenities. The Villa overlooks a sparkling pool that is surrounded by almost two acres of beautiful very private gardens. And since Atenas is noted for having the best climate in the world, it is one of the best places to vacation in Costa Rica! 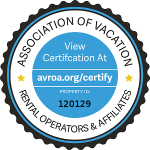 Any Questions About Your Dream Vacation Rental? We Are Online Every Day And We Are Here to Help You Plan Your Perfect Vacation.You can also call us : 817-803-3390 or SKYPE ID sgdoughty or 817-803-3801. If you prefer to chat, as opposed to emailing, then feel free to call us on Skype - That way we can answer your questions and it's free! 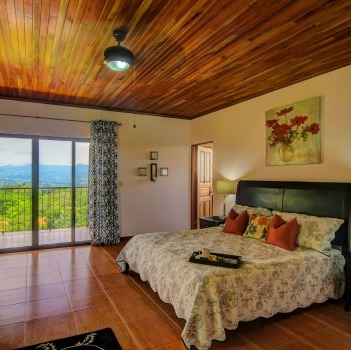 Copyright © 2019 Villa Doughty – Our Atenas Vacation Villa. Powered by WordPress. Theme: Accelerate by ThemeGrill.